Compact SUVs come in many shapes and styles—and with a wide range of price-tags. So, which is right for Hilo and Kailua-Kona families? To give you an answer, we’ve compared four of the most popular compact SUVs on the market: the 2018 Honda CR-V vs. Toyota RAV4 vs. Nissan Rogue vs. Subaru Forester. Check out the chart below to see which model is best for your family’s island adventures! Compared to its competitors above, the Honda CR-V offers greater engine power and comparable fuel economy. Behind its first row, you’ll find 75.8 cubic feet of cargo room—more than what’s offered in the RAV4, Rogue, or Forester. Safety-wise, the 2018 CR-V excels, earning a 2018 NHTSA 5-star overall safety rating*** while the others achieve just four stars. To top it off, the CR-V is the most affordable of the bunch and also retains a higher ALG Residual Value % over a 60-month period. In fact, the CR-V is a winner of the 2018 Edmunds Best Retained Value Award! Test Drive the New Honda CR-V in Hilo or Kailua-Kona! Are you ready to explore the 2018 Honda CR-V for yourself? 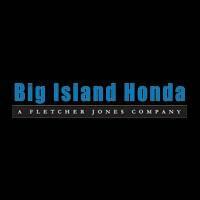 Schedule a test drive at Big Island Honda, located near Kamuela and Waiomea. We’re located in both Hilo and Kailua-Kona. Before you book an appointment, take a moment to browse our CR-V lease offers and finance specials for savings opportunities on this Honda crossover SUV!